The final few weeks of Revival Camp are quickly finishing up, and while I am sad to see this devotional end, I am loving the most recent additions in the September Revival Camp kit. Here is a brief look and weeks 9 and 10. Challenge. Oh, now... there's a topic I know all too well. Sometimes it seems like life is one big challenge after another... constantly trying to bring us down. To make us weak. But the Bible reminds us, that it is in our weaknesses that God can work. I've always loved this verse is 2 Corinthians. You see, I've never considered myself to be a strong person. Weak... weak I understand. But I have found comfort in knowing that despite my imperfections, God can use me. I don't have to be perfect, I don't have to be strong... He is strong enough for the both of us. For this page, I must admit I was at a little bit of a loss as to how to journal it. As meaningful as this message is to me, I couldn't figure out the proper way to full express that. And so, I just kept it very simple--- layering various elements and leaving some room to add in some thoughts too. 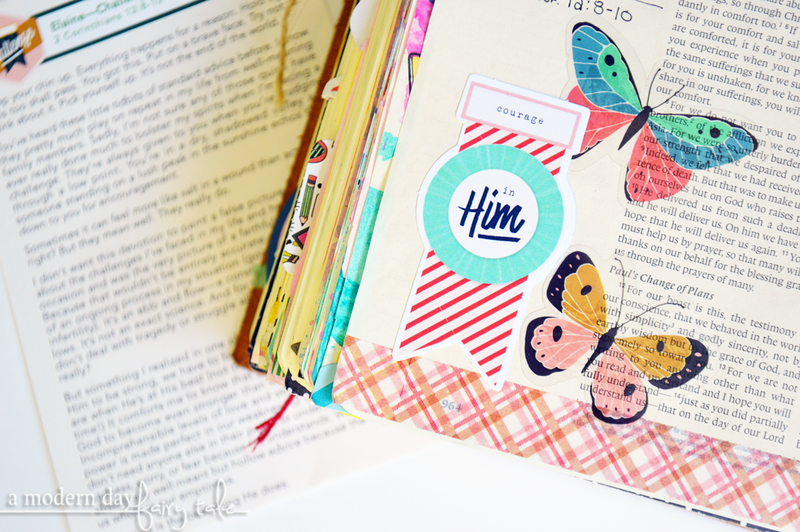 That's the great thing about Bible journaling really--- it doesn't HAVE to be fancy or complicated at all. Do you consider yourself a leader? I know I certainly don't. Don't get me wrong, I've taken on leadership roles in my life. Goodness, I even somehow managed to get my shy self nominated as class president in 3rd Grade... but those roles all seemed to fall into my lap. It was never something I worked for or where I felt I was really LEADING anyone. I've always instead considered myself as more of a loner... definitely not a follower though, because I've never been one to do things like everyone else. When I think of leadership, I think of the ideas that society has shown us--- ideas of great power. A power in which I have no desire to possess. But God doesn't look at leadership the way society does... it's not about power, but about leading other to God. For this page, I really wanted to incorporate that idea. It was a new idea that I'd never really thought about in the past, but truly fell in love with during this devotional. 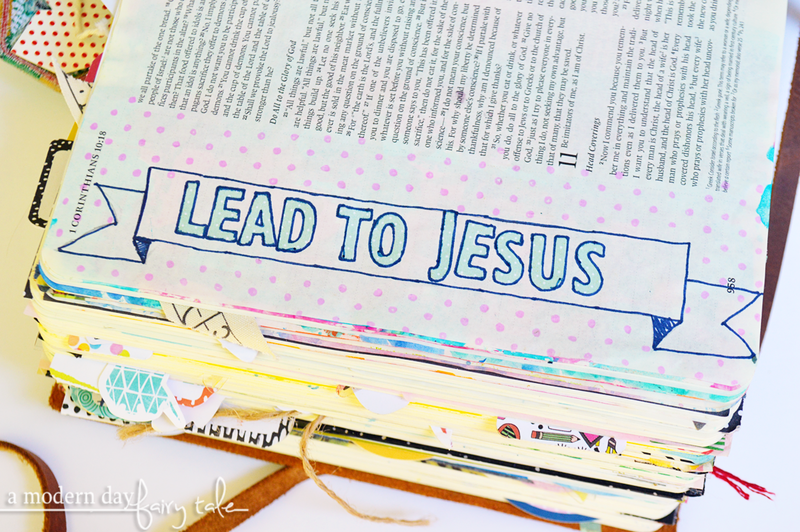 Banners have been very common throughout this series of devotions, and so I wanted to use that. I'm not entirely certain this page as a whole turned out as I'd imagined and hoped for, but I love that those simple words are truly the highlight of the page.